Another gorgeous Bentley Wedding at the St John’s Anglican Cathedral Brisbane. 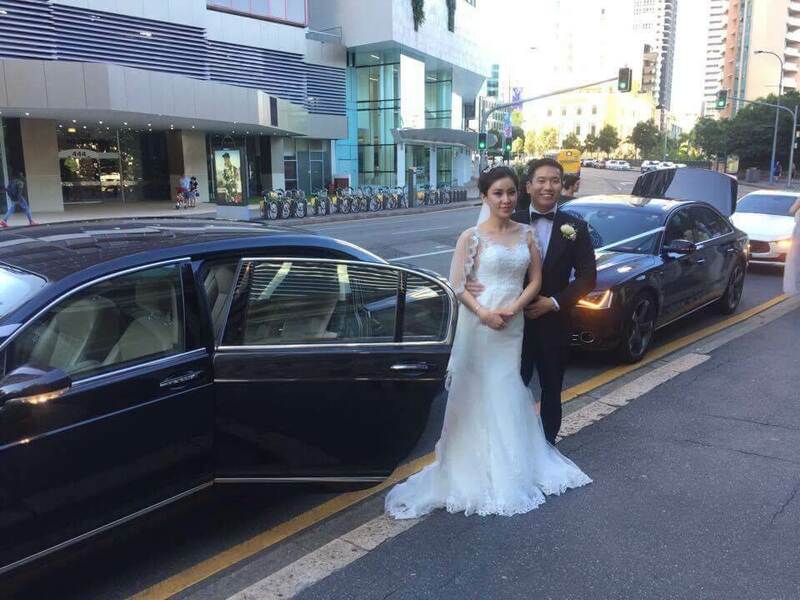 Our Bentley wedding started with the formal Traditional Chinese Wedding Tea Ceremony with the blessings of both sets of parents before our Sunnybank to city drive began. St John’s Anglican Cathedral is situated in Ann Street in the Brisbane central business district. It is the perfect setting for the creation of beautiful memories and gorgeous photography with its many characteristics of French Gothic style steep in Brisbane history . St John’s Cathedral is a heritage site with cultural splendor unrivaled in Brisbane with the foundation stone laid in 1901 and the building developed in three stages. The Gothic-revival architecture that begun over 100 years ago and surprisingly it was only completed in 2009. The Cathedral features wood-carvings, stained-glass, 350 million year old limestone and the only fully stone-vaulted ceiling in Australia. Most of the cathedral is built from local sandstone, the pink and lavender toned stone is called “Brisbane Tuff”. More impressive wedding photography in the botanical gardens then onto Customs House for all the celebrations of the day. Customs House is such a stunning venue for a wedding reception as the newlyweds entered their reception on the red carpet. The architectural form of Customs House clearly demonstrates the intended purpose of the building with the double entrance from both the city and the river, which is a response to the siting of the building between the river and the town. The riverside setting allows long views across and along the river to the building. There is a small ground with a mature fig tree and sunken garden, which contribute to the building’s riverside setting.The view from the river and the secure wharf area has been complemented by the riverside walkway. Thank you for making our Bentley Continental Flying Spur and our Audi A8L an integral part of your special day.